It was the winter of 1993. After completing what felt like an eternity of higher education part of the transitioning process from learned student to practitioner was the first placement into parish ministry. After sweating many long hours over a ton of theological, historical, practical and biblical translations, now I was ready to be unleashed on some poor unsuspecting group of seasoned believers. One last thing was required before the release was for lack of a better term, a placement interview. At this is the point the rookie gets input into where he feels God is leading him ministry-wise. I was convinced God was leading me to work with college students. That was my passion. Working with young, hungry minds, eager to learn more about God in an authentic, fresh way. As placement day approached hope sprang eternal. Waiting for what seemed like hours my name was announced, Byrene K. Haney, Berea Lutheran Church, Detroit, MI. Was this some cruel joke? If so, I was not laughing. I wanted a campus ministry. Then further in the ceremony, a classmate gets the call to campus ministry at Louisiana State University. What? That is my hometown. I grew up just down the road from there. Jonah, I understand how you must have felt. Why me, Lord? How could God send me to the city? In today’s post, I want to explore how we overcome the “oh woe is me” feeling, or as we will call it the Jonah Complex. Before any significant ministry could happen in my parish, God had to break my heart first. And I could not motivate my people if God could not help open my eyes to the surrounding needs. The fact of the matter is that I needed a big fish experience. I needed to see the city as God saw the city as I wanted my flock to see the city. Also, we needed partners who also could see the hurts and needs of the city. Like Jonah, it had to start with the leader. I cannot lead people where God has not taken me first. God had to transform my heart. As we go deeper today into the urban ministry discussion, we will use as our foundation text the book of Jonah. Focusing on chapter four. In order for God to change Jonah’s heart, He gives Jonah some reasons He has pity on Nineveh. To get this point, God and Jonah came to a limited agreement. In life, we make assumptions about who God is and how God operates. Like, Jonah, we are so far off base that it is not even funny. Jonah would learn in his encounter, God’s mercy, and compassion. Now God needed to teach those qualities to Jonah. He did so with a plant. Here are four lessons God taught Jonah using this plant that will help us overcome the Jonah Complex in regards to urban ministry. A summary for those who may not be familiar with the account of Jonah: God sent Jonah to preach to the wicked city of Nineveh. Jonah refused, ran in the opposite direction believing that God was so limited that He operated only in his land among his people and that he could escape God and his destiny in a foreign land. While on the boat a massive storm arose and the sailors knew they were all lost. They discovered Jonah was the reason for their troubles and long story short threw him overboard into the sea where a big fish swallowed him. He stayed there for three days until he came to his senses and went to carry out his work in Nineveh. He did what God instructed, and the people repented of their sins, and this grieved the heart of Jonah. Fast forward now to chapter four. God now confronts Jonah’s, heart. The Lord said, “You pity the plant.” In verse 9 Jonah was angry about the plant perishing. Why? Because a worm had attacked the plant and killed it. Our God is sharp; look at how he deals with Jonah. God gives Jonah something he grows to care about to teach him about how God views Nineveh. God is helping Jonah see where his mercy for Nineveh comes from. He says, “You pity the plant, should not I pity Nineveh?” But a worm destroyed the plant! Yes, Jonah, in the same way, a worm has been at work to destroy Nineveh ever since I planted this city. We would call that worm Satan. Could it be that our distaste for the trouble of the city is because we fail to recognize the parasite factor in the city? The father of this world is blinding us to the hurts and the effects of the worm on the people in every town. Our change of heart comes from seeing outside ourselves and acknowledging the worm factor that the city doesn’t live up to our expectations, like when we put ourselves out to help someone in the city struggle with addiction who then goes back to that lifestyle, or misuses the help we provided. The truth of the matter is the worm factor is powerful, but our God is stronger. Pascal said there is within every person a “God-shaped vacuum.” He’s right. Historians Will and Ariel Durant observed in their summary volume, The Lessons of History, that “there has never been a significant example of morality apart from belief in God.” Morning Glory, February 5, 1994. I disagree theologically that she came to that realization all on her own that she needed God. However, the story does point to what Jesus prayed on the cross in Luke 23:24, “Father, forgive them, for they don’t know what they do.” Nineveh was guilty. Their lack of spiritual awareness was obvious. Unfortunately, ignorance of God is no excuse nor can we claim innocence. God sent Jonah to help Nineveh know its corruption and sin, then seek forgiveness. Our mission as believers is to be Jonah. Go into the great city and preach a gospel of repentance so that the people of the city can become aware of the effects of the worm Satan, turn from their lack of spiritual clarity and receive forgiveness. But that change needs to take place in us first. We need to see the city the way God sees the city, with mercy and compassion. Great message, we can be a lot more effective when we see things the way God sees them (with mercy and compassion). How we show mercy and compassion is often as powerful a message if not more impactful than just our mere words alone. Well said. Isn’t it amazing the evidence there is should we seek to find it? Stalin’s daughter reminds me of my husband. When I first met my him, he claimed to be atheist. His mother, a former Christian, denounced God when her husband died leaving her with two little boys to raise on her own. She told me that a God of love would not do that, therefore there is no God. She instilled that in her boys. 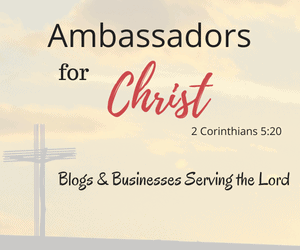 Yet, as I observed my husband as a person (he was a former workmate – still is) and his manner in dealing with others I saw in him a more Christian demeanor than some self proclaimed Christians I knew. In one of our many discussions on evolution and other deep discussions of God, I brought that up. I told him how I’d observed this and who taught him that? He replied that it came naturally. I shared with him the scripture in Romans 2:13-15 about how the Gentiles without law have “the law written on their hearts” and do it “naturally”. If there was no God then how did he naturally do what is right? He did protest some but, I pointed out, yes, some people do not listen to their heart, and it can get calloused over but for those who do, it gives evidence that God has put His stamp on every human living. It took a few years for him to accept Christ. His mother has softened some and doesn’t give him a hard time about it. Of late, she sends me Christian jokes (nice ones) or articles she thinks I would be interested in. So who knows? We lived cross country from her and only of late been nearby, so I have more opportunities now to drop an idea or two now and then. That just shows the power of God and the heart of God. He is alway pursuing us and gently leading us to him. I will keep your mother in-law in my prayers.